Monster Heart Medic is a FREE app developed by the Lawrence Hall of Science at Berkeley. Kids help to diagnose a friendly monster named Ragnar and guide him to a healthier life. 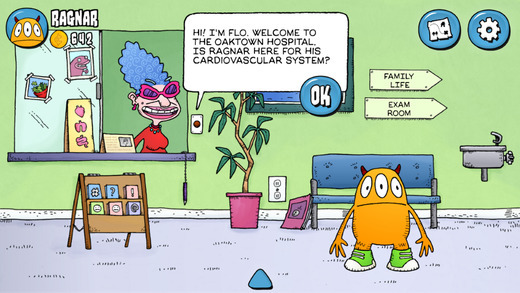 The app uses stories, animations, simulations, and arcade game to teach about cardiovascular conditions. Kids learn what can be done to keep their hearts healthy. All of the health recommendations within the app come from established sources such as the National Institute of Health, the American Heart Association, the CDC, and Prevention. Check out this nicely done app that combines fun and healthy living!